Playworld Systems Inc. is a member of the International Play Equipment Manufacturers Association (IPEMA), an organization whose mission is to assist in providing safe environments for children to play. In the interest of public playground safety, IPEMA provides a third party certification service whereby an independent testing laboratory validates manufacturers’ certifications of conformance to the Standard Consumer Safety Performance Specification for Playground Equipment for Public Use, Specification ASTM F1487- 11 (excluding Sections 10, 12.6.1, 7.11). The use of the IPEMA Certification Logo signifies that the manufacturer has received written validation from the independent laboratory that the product associated with the use of the logo conforms to the requirements of ASTM F1487-11 (excluding Sections 10, 12.6.1, 7.11). Only IPEMA-Certified equipment should be purchased to assure that it meets official safety standards. Playworld Systems Inc. is proud to offer products that have received IPEMA certification. To see a list of our certified products, visit the IPEMA web site at www.ipema.org. 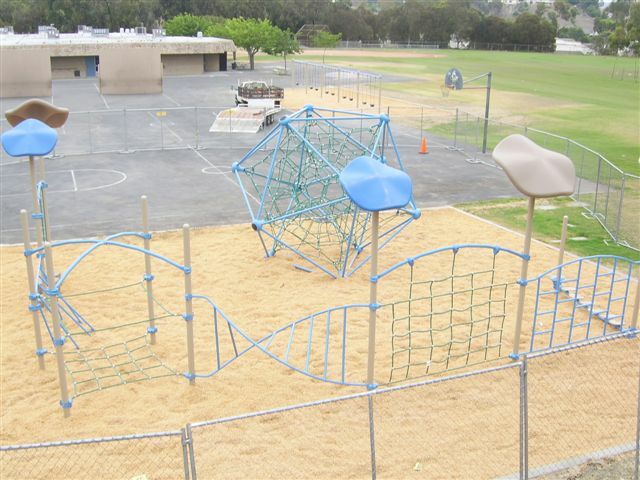 In addition to the U.S. Consumer Product Safety Commission (CPSC) guidelines, the American Society of Testing Materials (ASTM)also has developed voluntary performance and safety standards for most play equipment categories. ASTM is one of the largest voluntary standard-setting organizations in the world. In 1988, ASTM undertook a project to develop safety standards for Public Use Playground Equipment. A committee of professionals and consumers, dedicated to playground safety, worked on the development of this standard and in December, 1993, ASTM published F1487, Standard Consumer Safety Performance Specification for Playground Equipment for Public Use. In 2011, ASTM F1487-11 was published updating the previous versions. ASTM measurements establish minimum acceptable performance specifications for play equipment ranging from swings to play surfacing. To view a summary of ASTM Specification F1487-11, visit www.astm.org and enter the ASTM Store. Click on “Search for Individual Standards”. Type in F1487-11. The information below is a general guide to assuring an accessible playground. There are currently new proposed Accessibility Guidelines for Public Playgrounds being reviewed in Washington D.C. that when approved, will apply to all public playgrounds in the U.S. The information below is a general outline of what the proposed law will cover, assuming it does not change significantly from its current wording. What is the American With Disability Act? Federal law passed by Congress and signed into law in 1990 prohibits discrimination against the disabled in areas intended for public use. The Intent was to remove barriers which keep disabled people from participating in all aspects of our society. Which playgrounds are covered by the American With Disability Act? How must an existing playground comply with American With Disability Act? How will new playgrounds be affected by the new American With Disability Act law? A path must be provided within the use zone connecting the play equipment to other paved surfaces. The path must be made of an accessible, resilient material (such as rubber tiles, poured-in-place or American With Disability Act wood fiber) and be at least 60-inches (1.5m) in width. Half of all elevated play components on a play structure must be accessible. To be ruled accessible, the play component must meet American Disability Act guidelines for both the top and bottom ends of the activity. This includes an accessible route to the top of the activity with no step higher than 8-inches, and an accessible surface from the bottom of the activity back to the entrance. If there are 19 or fewer elevated play components, there must be access to half of the above mentioned, at least by a transfer point. If there are 20 or more elevated play components, there must be access to at least a quarter of them by wheelchair ramp. Another quarter of them may be reached by a transfer system which together equal the half required in item #1 above. Must provide accessible ground level play activities equal to half of the total of elevated play activities. This requires an accessible surfacing route both to and around the activity. One of each type of ground level play activity must be accessible. For example, if there are four swings, one of those swings must be accessible with appropriate accessible surfacing. To be ruled accessible, any surfacing must pass ASTM PS83 Surface Accessibility Test. These are generally limited to engineered wood fiber, rubber tiles or rubber poured-in-place. Consult the supplier for test data. There must be an accessible route of travel to the play equipment. When did the new American Disability With Act law take effect?